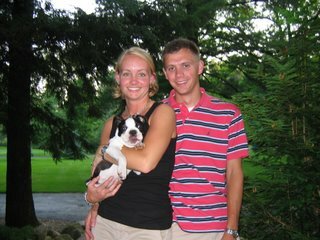 Mystic Wonders Inc. (MWI) was born 1-01-01. MWI is the result of two small Iowa companies combining their years of knowledge and ability to design, formulate and enhance safe everyday products. With their concern for the environment MWI concentrated on perfecting the laundry ball to the best laundry aid possible that would work through physics and at a price the consumer would appreciate. The cost is only $1.11 per month to use. The Consumer Protection Group of Omaha NE subjected the original MWI formulation to a thorough 3-week testing program in 1998. The results of testing the laundry aid were very positive. “Yes, the laundry ball does treat the water; you still need to pre-treat stains as claimed.” It is the science of tomorrow here today. The above atatement was the first thing I read about Mystic Wonders Inc. Curious, I looked a little more closely at the rest of their website. I was surprised to see that they sold 19 environmentally-friendly products. I knew I had to try some, and I was hoping to give you the opportunity to try the products as well. I contacted Mystic Wonders Inc., and they asked me to review the Complete Laundry System, Prill Beads, Wonder Balm, Lip Wonder and the Ayate Cloth. Contents: Wonder Ball For your washing machine and Wonder Dryer Balls for your Dryer! 1. Simply place the Wonder Ball in your machine, pretreat spots *, loosely put in clothes and turn machine on using your favorite water temperature in any style of washing machine. 2. When machine shuts off, take clothes out, keeping Wonder Ball in machine for next use. Good for 3 plus years of use. * Once all the layers of old detergents / softeners get out of your clothes, most stains will not be a problem. It may take several washings to get out all these layers. KEEP IT SIMPLE. Ms. Gunderson dilutes hair shampoo for ring around the collar and personal stains. For kitchen & outside stains, she uses diluted dish soap. Simply place the two balls in dryer with wet clothes, turn on dryer. Working together in balance, the balls keep your clothes separated. The nubs keep redistributing the heat; cutting drying time. Engineered for a lifetime. No fabric softeners or sheets needed. 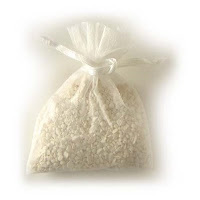 Precious Prills are magnesium oxide infused with Life Force. Originally created to clean up nuclear waste, they are from a new technology that allows us to make very fine "vital water" from virtually any source. This water measurably hydrates the body, and has a favorable oxidation-reduction potential (reduces free radicals in the body). Precious Prills do not dissolve in the water, but seem to last forever. They contribute no minerals. When Prill Water, which is much like dew, replaces the energy of common water, the new liquid is technically just water. However, these molecules are smaller and do not occupy as much space as other energies. Therefore, this water is far easier for living cells to absorb, and is a much better moisturizer. It works with magnesium to help the body heal itself. Pets, plants, and people really love it. The light energy emitting from the Prills and the prill water has been seen as a blue color. For those who can see this, it also travels. It has been seen spreading across the floor and up walls and ceilings, making a blue web-like structure, connected with blue dots. Some of you will recognize this as "fourth seal" energy: love. Even if a regular tap water source is used, this water will be as vital as the best glacial bottled water. A single package of Precious Prills can save the average family about $1,000 a year when compared to purchasing bottled water. If your water has either chlorine or fluoride, leave the lid off the jar so these chemicals can escape. Since they are heavier than air, they tend to sit on top of the jar. You may need to stir the water some and blow or fan it off the top. Some people just prefer to use water that has already had these chemicals filtered out. Prill Water can be stored in plastic containers, but we are told it tends to eventually corrode plastic and metal. This is an Amish formulation made for Mystic Wonders Inc. Wild-crafted and processed by cold infusion. Suggestive uses: chronic diaper rash, any problem areas as fungal disorders, poison ivy, burns, cuts, any abnormal skin condition. Lip Wonder is so special with the "Shea Butter"! It is a known fact that Shea Butter has natural sun blockers. This is the best you can find, it does not just set on your lips, and it actually goes in where needed. This great product is excellent for use on dry cuticles. Lip Wonder is made of all natural ingredients: Almond Oil, Coconut Oil, Beeswax, Olive Oil, Cocoa Butter, Shea Butter & natural flavor. 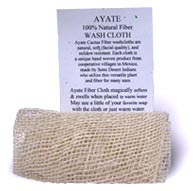 Ayate Cloths are an open woven cloth. High quality, HAND woven from the Agave (cactus) plant, by Artisans using traditional pre-Columbian methods. I have been using these products for a month. I am most impressed with the Complete Laundry System. It truly works! I rub a bit of stain stick, and use nothig else. My clothes come clean every time! I have also noticed that my clothes really do dry faster with the Dryer Ball! The Ayate Cloth has been great for my skin. I love the fact that it is gentle and reduces the amount of cleanser I actually need to use on my face. The Wonder Balm was tested on my husband's dray, cracked hands, and he is thrilled with how much softer the balm has made them. My older son uses the Lip Wonder daily. He reports that it has been wonderful on his chapped lips. The Prill Beads are still being tested. I was hesitant at first to use them, but since we have, we've notices a change in our water. I will update you again once we have been using them for awhile longer. Visit Mystic Wonders Inc. and see all of the amazing products they have to offer. Mystic Wonders Inc. has generously offered one living life one day at a time reader a chance to win one of each of the products mentioned above. This is over a $100 value prize!. • Visit Mystic Wonders Inc., and then leave a comment here telling me what other product (one I haven't mentioned in this post) that you think you would like to try and why. *Enter by 9pm (EST) on Saturday, January 3. The Lave Diamond sounds almost too good to be true- I would have been turned off from this site immediately if it hadn't been for your review. But I am thinking I am ready to try some of these natural products now! I would like to try the Jesn Massage Ball. Thanks! I have wanted to try prill beads forever! I would LOVE to win this! My cup of tea. Other than the awsome items you have featured, I'd be interested in the Willard Water. Oh my goodness! Laundry and science in one product! Perfect for a homeschooler like me. Oh, I forgot to mention another product, being so carried away by what you reviewed! Pascalite Clay sounds just what I could use around here with my 6 boys. Always having slivers, bug bites and now getting into pimples. Love using something natural. I also follow your blog, please count this as one entry. I think I would like the lip wonder. I always need a good lip balm (would love to try it!) - great price too! The dryer balls are also amazing - my mom swears by them! 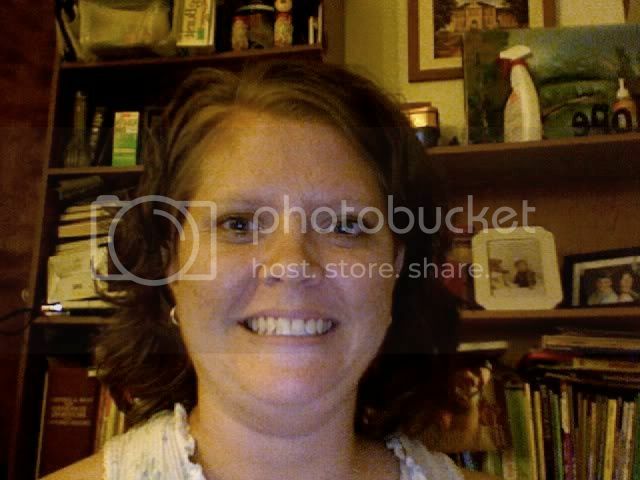 I am now following you on Twitter as @PainterMommy. I tweeted too! i would be interested in trying out the Wonder Microfiber Cloths because they look like they could help me out dusting my extremely dusty house. Suffering from migraines and being a stroke survivor, the Jesn Massage Ball would really come in handy, I think. I am trying to subscribe, but an error keeps popping up. I shall continue to try, though. I would love to try the Jesn Massage Ball. Thanks for the giveaway! I love the Jojo carrie laptop tote! I'd like to have the Feng Shu Frogs! I think my daughter would love to try that! I'd love to try the Wonder Goat Milk Soap. I have dry skin and hopefully this would help. Thanks! I'd love to try the Lave Diamond -- I especially like that it says "Delicate Baby Clothing will stay brand new looking for generations." My baby's clothes are getting worn out already from multiple washings! I think the Wonder Microfiber Cloths would be great to use. They are lint free and washable. (reuseable) They come in 3 colors: red, gray and yellow. Thanks. The Lave Diamond seems interesting. I've never seen one before. I'd like to try it. Thanks for the chance. How about that Toilet Tank Conditioner. I think the Jesn Massage Ball sounds awesome! I think the Jesn Massage Ball would be good. I LOVE to get scalp massages so this might be worth a try. The Jesn massage ball seems interesting! I would love to try the Wonder Goat Milk Soap on my dry skin. Sounds nourishing! I tried several times to subscribe via email...but getting "error"
I tried to subscribe via email but it i got an error (like everyone) so I subscribed to the RSS feed. the goat milk soap sounds great for my dry skin! I'd love to try the Jesn Massage Ball! That would feel so good right now on my aching legs! I suffer from fibromyalgia, so I'm sure this would be a welcome and useful product in my home! I'm fascinated by the Lave Diamond, it sounds awesome. I subscribe to your feed, the email won't work. it all looks really cool. would love to win this and give it to my mom. thanks for sponsoring. Wonder Balm- wonder if it helps with acne ? The Feng Shui Frog looks so cool. Thanks. I tend to get excema, so I would like to try the Lave Diamond for my underthings, as well as the laundry system you mentioned for everything else. Thanks. The Duct Tape Magnets look wicked cool and totally useful! Thanks for this review! Very informative! Umm brilliant! Jesn ball! Gotta have it. Blue Cloth: The blue one is best for absorbency, dusting and drying. It is super for trapping dirt and grime. This one is everyone's favorite also for showering or bathing. I'd like to try the Toilet Tank Conditioner. We have hard water and I'm constantly looking for a drop-in to cut back on cleaning time. These sound interesting. Thank you! I've also twittered the contest, coriwestphal. And I'm a follower. Thank you! I had a little trouble with your newsletter signup but I think it worked. thanks! I would love to try the massage ball! It looks super neat! And the giveaway ends on my birthday, so maybe it'll be a nice birthday gift to me! I subscribe by email! Thanks! I like the Duct Tape Magnets...how cool!! I tweeted about this giveaway at twitter. What a cool giveaway! Thanks for the opportunity! I would love to try the Wonder Patches. All the products sound great. I love the Chinese Feng Shui Teak Wood Frog! These would be so much fun for my boys!! I like the toilet tank conditioner as well as the feng shui frog. Very cool items. I could stop making my own laundry detergent! The goat milk soap sounds like something I would like to try because my skin is so dry in the winter. And I'm always looking for natural safe products. The Jesn Massage Ball sounds wonderful, I'd like to try it on my sore muscles! Thanks so much for the giveaway! I subscribe via supercoupongirl AT gmail.com! Thanks so much! I finally blogged about this giveaway. I would be interested in trying out the Wonder Microfiber Cloths. Thanks! the lip wonder. im so picky about my lip balm its hard to find one i like! I would like to try the massage ball. Thanks! I would like to try the Jens Massage Ball. Looks like some great products. the jesn massage ball looks great! The wonder microfiber cloths look great but I love anything that helps me with the awful dust in my house! Thanks! I like the Wonder Balm. Duct tape magnets...don't understand exactly how they work, but they sound miraculous! I would most like to try the Jesn Massage Ball. I think I abuse my feet too much, with my running and walking. This ball would be used all the time, for sure.